While Chalayan's work continues to question traditional readings of dress and to generate exciting interdisciplinary collaborations, he also opens new frontiers for other designers to explore. As many of his groundbreaking ideas begin to influence wider trends, Chalayan's work is gaining recognition in the mainstream fashion market while continuing to receive acclaim in fashion circles. Since Chalayan signed a licensing agreement with the Italian manufacturing company Gibo in 2002, his label has grown into a strong retail brand. The designer's appointment as creative director of fashion for the classically inclined British luxury retailer Asprey brings his conceptual oeuvre to a wider public. But the garments still require an audience with the confidence to carry off clothes heavy with the thought processes behind them. 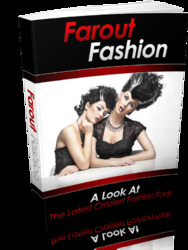 See also Fashion Designer; Fashion and Identity; Fashion Shows; Haute Couture.